As an exuberant finale to their concert season, La Nef presents Mystères | Geste polyphonique, a multidisciplinary performance for 10 a cappella singers in motion, coproduced by ensemble ALKEMIA, at the Maison de la culture Maisonneuve, Wednesday 8, Thursday 9 and Friday 10 April 2015 at 8pm. 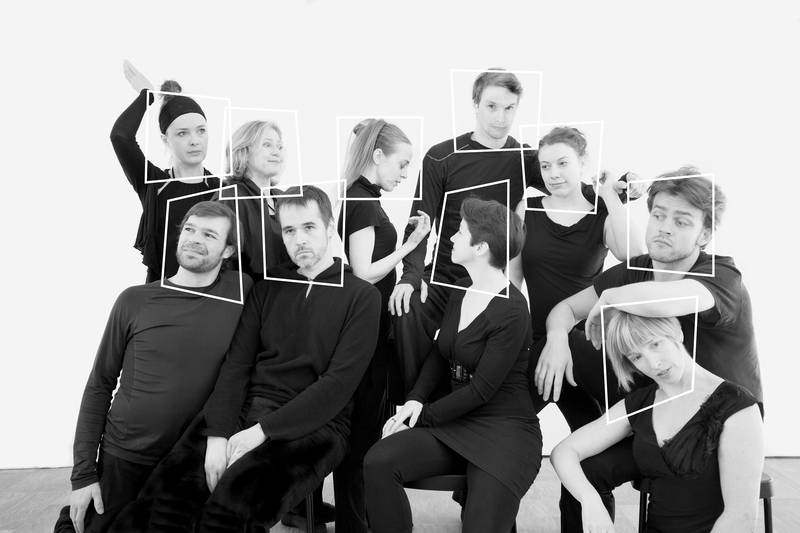 A recent finalist for the 2014 Opus Award, Concert of the year – Montréal, ensemble ALKEMIA, this time comprised of 10 singers, continues the playful exploration of a cappella vocal music on which it embarked 15 years ago. For its latest creation, ensemble ALKEMIA has chosen the theme of mystery, in all their evocations and connotations. Through myths, legends, beliefs, magic and secrets, the resulting musical landscape is vast and unusual ! From its earliest performances, ensemble ALKEMIA has introduced its audience to a cappella repertoire with the visual and spatial aspects of performance very much in mind. To push the boundaries of this exploration even further, ensemble ALKEMIA has chosen to rely on the artistic versatility of its performers in order to envision a dialogue between the human voice and the human body in space : the performers, singing and moving, paint strikingly poetic and moving tableaux. Through a decidedly contemporary approach, these tableaux translate the complex beauty of polyphony by Hildegard von Bingen, Machaut, Dufay, Des Prés, Palestrina, Gesualdo, Monteverdi, Bizet and Poulenc into motion –– and make them shine anew. Come delve into these Mysteries with us : they will reveal incredible musical treasures that will transport you and enliven your senses. Jean-François Daignault, Véronique Gauthier, Marie-Nathalie Lacoursière, David Lapierre, Geneviève Lechasseur, Ghislaine Deschambault, Isabeau Proulx-Lemire, Pierre Rancourt andDorothéa Ventura. Featuring Suzie Leblanc, soprano. Movement creation/development and direction: Marie-Nathalie Lacoursière, Geneviève Lechasseur and Dorothéa Ventura. Wednesday, April 8, Thursday, April 9, Friday, April 10, 2015. 8 p.m.